Old Hollywood movie stills of the cult classic, Scarface (1983) for sale. 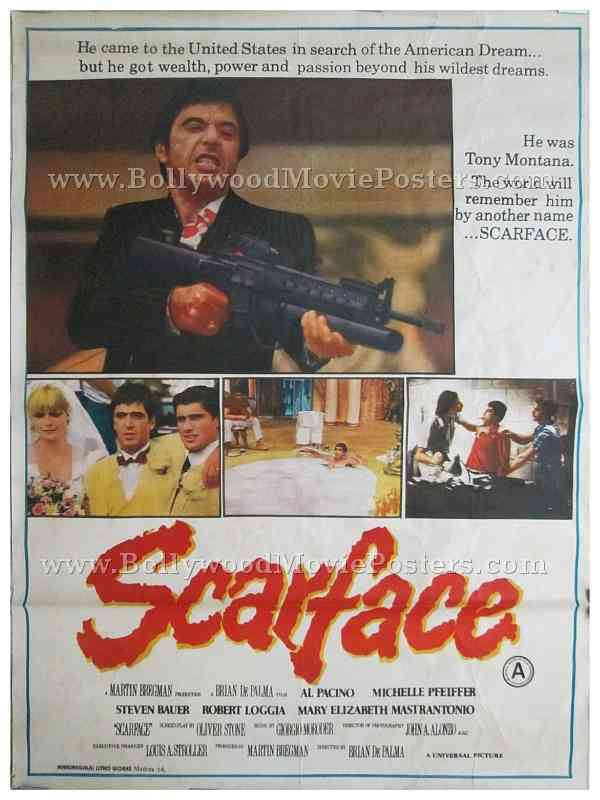 This is an actual surviving original set of lobby cards of the 1983 cult crime thriller Scarface, which starred Al Pacino in the lead role as Cuban drug lord Tony Montana. Scarface is widely regarded as one of the best gangster movies of all time, making this lobby card set highly collectible! Printed and circulated during the first release of the film in India (early 1980s), this set of old Hollywood movie stills was printed for publicity of the film inside a cinema hall. 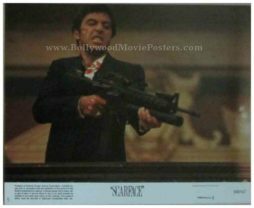 This is a rare original set of 8 different still photos of the cult crime thriller, Scarface, printed in the USA (Litho in USA). Each lobby card is numbered, i.e. serialized. These old still photos were printed to be used as pin ups on notice boards inside the foyer of a cinema hall in India that screened Scarface, but never ended up being used. Scarface is a cult 1983 American crime drama directed by Brian De Palma and stars one of the greatest Hollywood actors of all time, Al Pacino in the lead role. 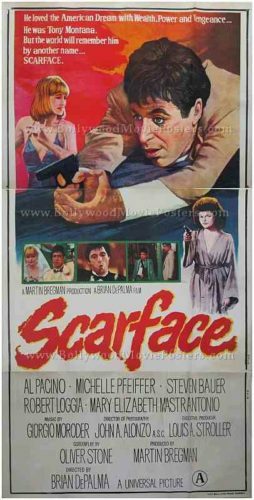 A remake of a 1932 film of the same name, Scarface has amassed a cult following worldwide over the years.